Kiehl's opened a new shop-in-shop in the store of Galerie de Beauté at The Mall Athens. The well-known "Mr. Bones "of Kiehl's and neon lights decorate the shop. Photos of the central store in New York, the founding family of Kiehl's and ad campaigns carried out with the support of company. No store of Kiehl's is exactly the same as another, but all stores exude the rich tradition of pharmaceutical Kiehl's. 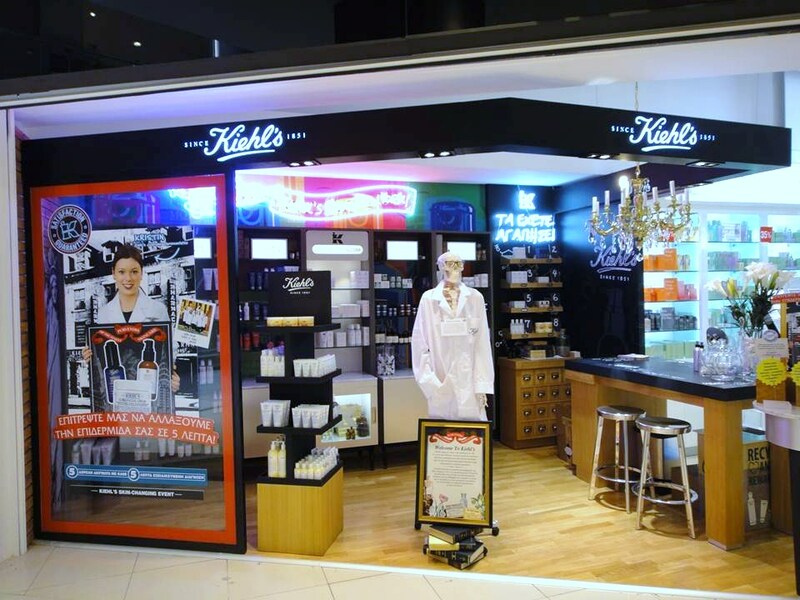 "We are incredibly excited that we have the opportunity to serve even more customers to a new branch of Kiehl's. At Kiehl's, we strive to offer our favorite toiletries through as many as possible meticulous and personalized service that reflects centuries of pharmaceutical our heritage, "says Cheryl Vitali, Global General Manager of Kiehl's.